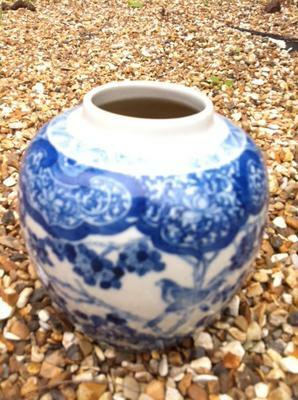 This is the second of my Chinese pots from my grandfathers antique collection. 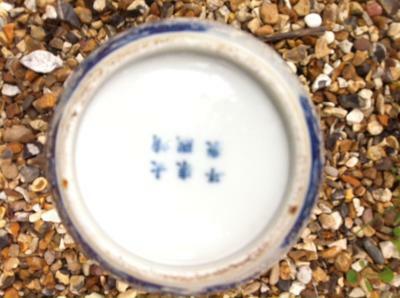 This blue and white one has some marks on the base but the pic doesn't show them up terribly well. 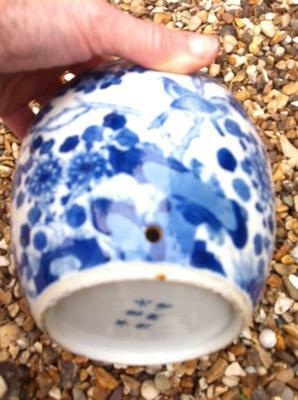 The pot has a small hole drilled in one side at the bottom which suggests someone may have used it for a table lamp base at some time although my grandpa never did himself. I'm assuming it is 19C export ware? Any help or comments greatly received. Comments for Would you know the age of this pot ? 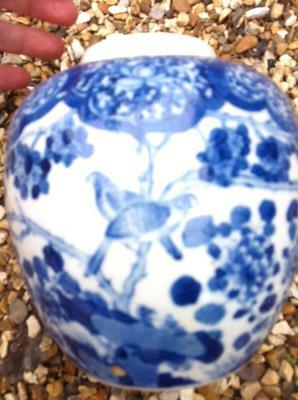 The neck, shape and foot rim look as if it were Qing dynasty. Cannot check decoration and the rest as all is a bit blurred.